Pastors Josh and Leslie Brown met in El Paso, Texas and married in March of 2004. They have 4 children: Moriah, Judah, Elisah, and Uriah. They have served in multiple cities in Texas, in the fields of youth, young adult, and worship ministries. Josh and Leslie have a heart to reach out to the broken-hearted and people that have been wounded by the church in the past. Pastor Josh Brown is the Lead Pastor at Overflow. His passion is hosting the presence of Jesus and making disciples. He has been pastoring youth and leading worship for over twenty years. Josh currently runs his own graphic design business and loves to help churches and small companies with their visual culture. Josh enjoys hiking and local hole-in-the-wall restaurants. Check out Pastor Josh's blog and podcast website here. >Email Josh. Pastor Leslie's passion is leading worship. She has been involved in worship ministry for almost twenty years and loves learning new ways to worship. Pastor Leslie is very blessed to stay home with her kids and loves being a mom! Leslie enjoys releasing her creative outlet in other ways as well, and has published multiple fiction books. Check out her website here.>Email Leslie. Brooke and her husband Nathan have been involved at Overflow since the church started in 2012. Pastor Brooke grew up in Arlington, Texas. While she was a senior in high school she felt God calling her to ministry. She attended Christ for the Nations Institute and graduated in May of 2014. Her passion is to see people healed and made whole. She is also a nanny and dance teacher, which she loves! Brooke leads a team of volunteers that make sure that the guests of Overflow have an excellent experience and feel at home. Pastor Nathan grew up in El Paso, Texas. As a sophomore in High School he felt a call to be trained for ministry. Nathan attended Christ for the Nations Institute and graduated in May of 2015 from the Worship and Technical Arts Major. His passion is to see people encounter the heart of the Father through a lifestyle of worship. He loves to go fishing, play football, basketball and anything that will get him outside! Nathan leads the Audio/Video team that makes everything you see and hear on a Sunday morning possible. He is over our Social Media, and also helps lead Overflow's worship. Emlen and Charlotte met at Overflow Church in 2016. They were married soon after, and continue to serve faithfully. Pastor Emlen Bailey is from a suburb south of Birmingham in the great state of Alabama. After 26 years away from God, He met the Lord in a small residential discipleship home in rural Alabama. It was at this time that the Lord set him free and called him into ministry. He came to Dallas in 2013 to attend Christ for the Nations Institute and pursue the ministry call. Shortly after coming to Dallas he began to attend Overflow Church and has been there ever since. Emlen has a passion for community. He endeavors to bring people together, in order to have a greater understanding of the Lord through the context of that community. Pastor Charlotte Bailey was born and raised here in the great state of Texas. She is over our First Impressions Team and Social Media. During the week she manages an Apparel Company and does all of their graphic art. She has a heart for the women of this church and desires to encourage and love on those around her. Pastors Shaun and Raelene met in El Paso, Texas and married in October of 2007. They have 5 children: Jesca, Jesiah, Selah, Micaiah, and Aviah. They helped found the Justice House of Prayer - El Paso and Shaun served as Assistant director from 2009 until 2015. Shaun also began working in 2012 as the IT/Web Manager at Life Christian TV in El Paso and continues to do so remotely. In 2017 they were ordained under the ministry of Josh and Leslie Brown at Overflow Church. They have a passion to impact as many people as possible with a living example of the Gospel. Pastor Shaun desires to see Jesus exalted in his daily life.He serves as a Family Pastor at Overflow helping lead a team that serves Overflow kids.. For fun he does some photography and videography and is a jungle gym for his kids. Pastor Raelene is a creative artist soul.She serves as a Family Pastor at Overflow helping lead a team that serves Overflow kids. She enjoys intercession and loves to sketch her inspiration during times of prayer and worship. For fun she loves catching up on new music, finding inspiration for new art, and making her children laugh hysterically.  Overflow Church exist to to bring people to an Encounter with Jesus.